Looking for that modern and contemporary appeal? Does your modern home need that modern complement? Do you draw inspiration from Frank Lloyd Wright? American Fence Company is proud to announce our mixed materials horizontal plank fence. 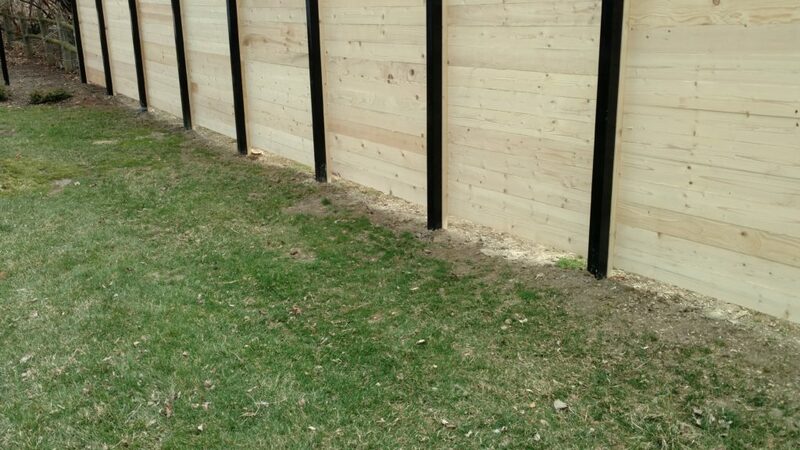 Our plank fencing is a simple, mixed materials design. We have selected to use a steel powder coated black post in this style for its simplicity and defining outline along with horizontal planks made of incense cedar. We love the incense cedar as most of it comes from heartwood, leaving it free from knots and wane. This is important as we want others to focus on the clean design and definition of the boards and not a knotty woodsy look. Please also note that there are no visible fittings or hardware. This further complements our intent to keep the design clean and uninterrupted. 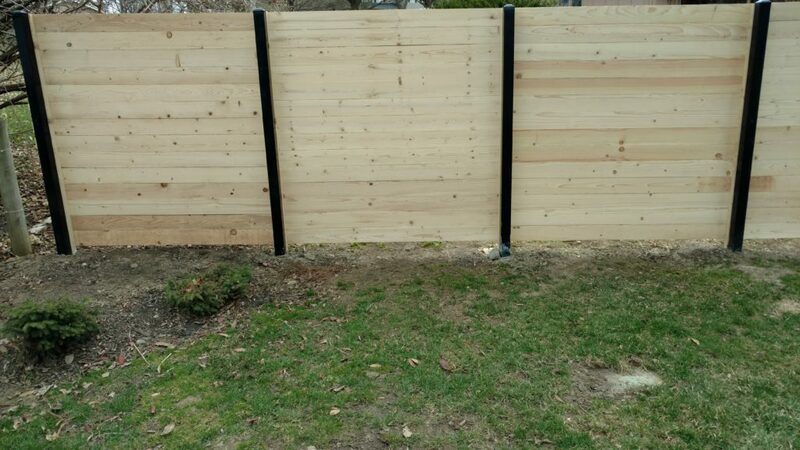 If this style appeals to you and you would like a FREE estimate, please contact American Fence Company today.